Do you remember Eddie Beamon? 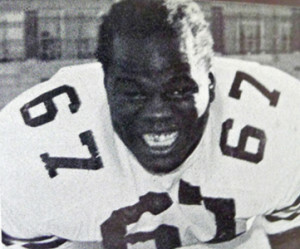 Eddie Beamon graduated in 1974 and was inducted into the Hall of Fame in 2012. 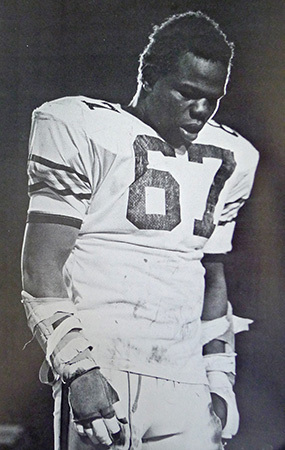 Eddie Beamon was named a Football High School All-American by Parade Magazine and selected 1st Team All-State in Ohio in 1973 while playing for Withrow. Eddie dominated the defensive side of the football field as a nose tackle and defensive end. He had 320 tackles with 150 for losses and 80 quarterback sacks in three seasons with the Tigers. He was twice named to the All-City football team for Cincinnati. Eddie continued his strong play in a collegiate career at Ohio State University; and in 1998, he was inducted into the LaRosa’s Hall of Fame in 1998.